After both sides of the debate shared their thoughts on today’s historic vote, the FCC has voted to reclassify ISPs as Title II utilities and put these companies under its authority in a three to two vote. 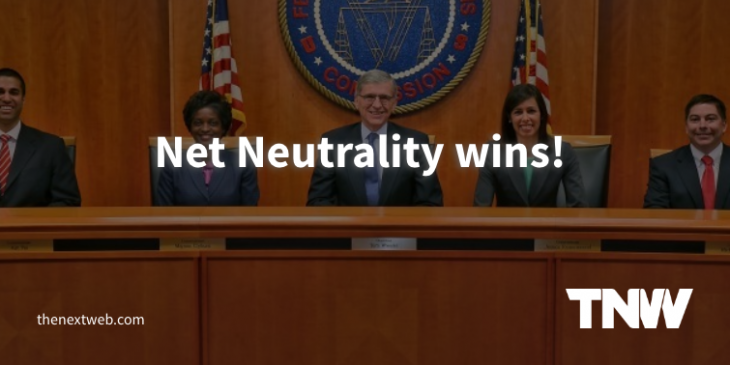 In other words, net neutrality has won. For now. Today’s vote means that ISPs like Comcast, Verizon, AT&T and others can not restrict or limit internet speeds for profit. ISPs can also no longer charge companies for “fast lane” access to ISP customers. Nor can they throttle traffic coming from sites or services. The FCC shared its Title II proposal in May and asked everyone to comment on the proposal. Million of people commented with an overwhelming majority supporting net neutrality. While companies like Netflix have come out in favor of Title II classification, ISPs and carriers (except for Sprint) have either kept silent or have come out swinging. ISPs AT&T and Verizon have both threatened to challenge today’s decision in the courts. Verizon has been key in forcing the FCC’s hand about how it regulates internet access. It won a lawsuit against commission claiming that its former management of ISPs was unconstitutional. In reaction to that loss, the FCC regrouped and came up with the Title II proposal which would give it authority over ISPs. Today’s vote to enact that proposal is huge. But, as the earlier Verizon lawsuit showed, it’s not over yet.